Now a day household shifting is very necessary. Every person is looking for a safe and secure household shift. Dlite Relocation is the best packing moving company in all over India. We always provide door to door service without any trouble. We move all household products like Washing machine, T.V., Fridge, Bed, Kitchen products etc. We understand that there is never enough time when moving house, our professional and experienced moving service helps put your mind at rest, letting you focus on your important day to day activities, knowing all the moving details and the unpacking at your new home is in profesional hands. Brand Name : CPMC RELOCATION Based in Kolkata, we are proficient in offering Household Relocation Services. We have established a wide network of branch offices in different parts of the country, enabling us to relocate your household items swiftly. In our Household Relocation Services, we pay utmost attention to packing, loading unloading and unpacking for total customer satisfaction. - Car and bike packing and moving by our expert car carriers and trained skill manpower. Coolie No. 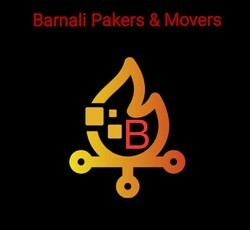 1 offers all kind of Household relocation/ shifting business information and deals.